Hey Guys! You are writing “Epic” Posts on Your blog Daily or Weekly . it depend on your skill and interest for writing Blog. You are getting no comments on your blog when ever you are always doing your best to write posts . We feel very Bad because of you are doing too much work on writing quality content for your readers but readers are visiting to read but not dropping comment on your Post. S, Today We Will Discuss on this problem of bloggers. How to attract visitors to become as a readers Or How to Get More comments on Blog post. I mean you need to attract them to read full content and he must to drop his comment about your work as a feedback. Why Are Comments So Powerful ? Now Can you Increase Your Blog Comments? I’m giving you a example like today everyone have android Mobile, and we install apps from play store those which have high Rating rated to your requirement. Same thing is applied here! new reader (i.e. Visitor) when he was browsing on web he will give more importance for that post which have more comments (i.e. Good Feedback) on his Post. Blog Comments give abidance for new Reader then he assume ‘If other People are strictly reading this blog, then why he should not join’ . Then he starts reading your posts and gives his feedback on your posts too. So, It’s called Engagement. In other ways you can say Convert Visitor into Reader. Here I will tell You Some new and old strategies of Pro Bloggers, You can start using to Boost your Comments Count. As you all are great bloggers and here some are newbie also so, never forgot this rule. You need to always write A Great Content, always think “I need to do my best in next try” . You need to Give chance for Comments Like a Open Ended Conversation . Mostly time new visitors visit your blog then you need to catch them for a long time on your blog as a reader so, you need to attract them by showing your performance report , Earning Report, videos ,etc. then it will increase more chances to get more subscribers for your blog. If you are using wordPress platform then you can use some plug-in for it like “Subscribe in Comment”. You never do same work daily, It means if you have wrote a great content yesterday then I’m surely can say not possible that you can write same as last post tomorrow because it’s human’s Mind . So, I’m telling you my own work, I always link on social media my best post of week after the writing daily posts. So, This is another point which increase your more chances to get comments on your old posts too by reviving them. It’s Important and most Trendy method, today it is using by mostly all bloggers of world. Social media is a best way to connect with new and old fellow bloggers. As when we talk about facebook , then there have too many Groups you should join them which are suitable for your blog niche . And share your posts in those facebook groups. And now talk about Twitter, It’s game of hashTags (#) , you should markup your sharing tweet with good and suitable hashTag . it will increase your presence on social media too and also increase your engagement with new readers. When I was writing this post , I was thinking that a newbie is sitting on front of me and I am, explaining these strategies for him . As we know we do blogging for Passion so, we are doing it so why not should do with more passion in writing and blogging. Readers loves to write those posts who always tell everything in limited words about his requirements. It’s another most important point of my strategies. You should always do reply of all comments which you got on your blog. It’s called a techniques that it means comments assume that admin of this blog or writer of this post is listening to him. It will increase more chances that person will return on your next post too. Your commentator wants full proof that you care about his comment and wants to take him on next post also. you should write your post like that you also affected from that problem too and how you recovered from it . So, this point is commonly known as Proof of Life, never forgot about this. Yes ! Webinar is one of the most popular method to attract more visitors in to readers or your permanent readers for your blog because by doing webinar of famous people they share his/her experience or some extra ordinary helpful tips to grow your business or website so in the video webinar you can provide them full proof details for your readers . so this makes very strong relation that’s why people are doing webinar and then attaching that video with blog post to grow more. So, here I have shared mostly all tips and trick which I am using on this blog from starting. in this beginning I’m also a Newbie . So, If I left anything important here that you can tell me in Comment Box. I love the way you present the information in your blog posts. The style is really attractive, and I got all the information I needed in just a few minutes. Glad to see such a valuable information here, just visited your blog after a long time and yeah now i am a regular reader of your blog. Will always visit and try to read your articles in the free time. and though, it would be awesome if you will share such posts in future too, which will help all of us regarding blogging. I agree with your all points, one thing that works for me is quality content and second “write for audience”. When we write for our audience, we gets more comment naturally, they find post intersting and useful and leave comment at our post. I toatally agree with your tips here. I have to say that your tip on “Write with More Passion” is huge. I think that comes from that place we finally get to when we are comfortable in our writing. When I was at that place of being timid in what I write and not really adding my personality to my post, it shows. I updated a pretty old post today and the difference was huge. I literally double the length of the post by the time I was done. Wow! What a Great Achievement for me .You visited my blog and left with a good comment on this Post. Thank you so much to read my full tactics and hope you will visit again in future. This post is really helpful for newbie just like me. I would like to try all your methods on my blog. Wow! I’ve been looking to increase the number of comments on blog again as i had a good network of people who used to comment on my old blog, i hope you know it. 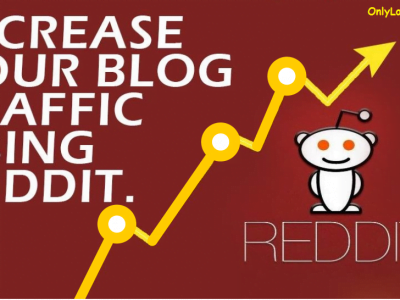 Increasing a blog’s Traffic and Alexa rank can help you to get sponsors and advertisers to your blog but it’s not guaranteed that the sponsors and advertisers would generate more money for you and your blog, if you have activity on your blog in the form of comments and social shares then you can merely ask for good money from the sponsors and advertisers. It seems hard to drive more blog comments to a blog but those who drive good number of blog comments can surely make good money from sponsors and advertisers. That’s how blog commenting helps me.. Thanks for writing this wonderful guide. First of all brother i want to say Thanks for Stopping on my blog post with your these kind words. Yes, you are right good community helps to make money also through Sponsor posts and Sponsor events. Soon , i will do a event for SEO projects. [ Smiles ] People appreciate it dearly when we take the time to reply to their comments; unfortunately, many bloggers tend to neglect the important aspect of replying to others. No, they Never neglect to replying for others. but main problem is lazyness. I’m also lazy in this work to reply to comments due have lot of work load. But now these days I’m trying to work regularly. Such a wonderful article indeed. I loved to read here. Each and every point is useful. Really, “comment worthy” content is really important to get more comments. Blogging is completely depend on Content. If you are can write good content then surely people will take interest to read. I’m quite disagree with your statement that readers will give more priority to posts with lots of comments. I believe only bloggers care about that. For most readers, as long as they got what they’re looking for, they don’t care much about how many comments you got. Now a day lot of Wastage blog posts are on search engine when they search for their problem then they mostly time visits wrong pages that’s why now they are smart just like bloggers. Newbie also know about Comments so, they go with that post which have more comments or more Votes.! 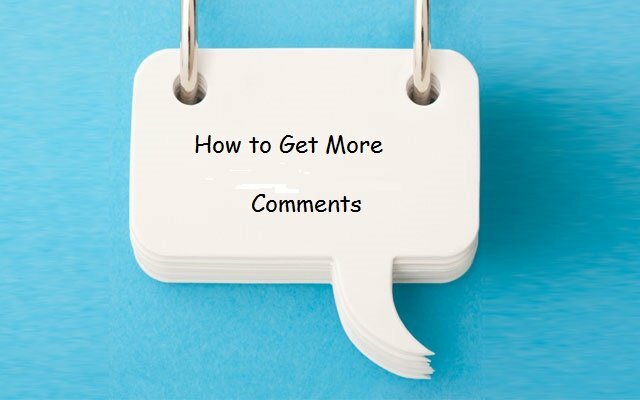 Great article about getting more comments on blog post. No doubt all the points that you have mentioned is really very effective specially the point that always reply the comments if you don’t reply the comments with positive attitude your visitor will never come to your blog again. So, always have a warm welcome for them with your kind and affectionate words. Yes, You are right. Always welcome for Affectionate Words, actually Comments make more beautiful and more detailed for your blog post. When they ask for any Question then you should reply. Then they feel admin of this blog is giving importance for their question! it’s very Important, if you wants him again on your new Post. Strongly Agreed with all of tips mentioned 🙂 Especially ”Write With Passion” If you dont have passion you are delivering rubbish. Awesome Tips Siddharth, You are right, if you can write long and descriptive then you got long comments. because if you getting small comment like “Awesome article thanks for sharing” That’s not enough. and also social media doing great job in commenting. I know you come on my blog through Social media share (i.e Facebook). Now a day mostly social media sites have group and great community of Bloggers and Webmasters. I can personally suggest Kingged.com, join and be an active member, follow the rules, king and unking posts, share, leave comments to other posts, and respond to comments. It is really a must try and you’ll never regret joining the community. There are great opportunities that await you. Nail it! Comments can add attraction and trust. Let’s be honest, comments in blogging is difficult to have most especially if you don’t have an avid reader, a subscriber, if your topic isn’t helpful, interesting and engaging. The tips you shared on how to get more comments are all helpful. Newbies must read posts like this to improve their blog’s performance and increase traffic or credibility. 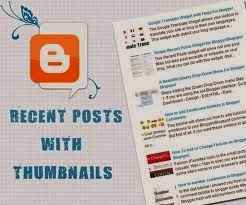 A very well written posts with almost all the main tips to get more comments on your blog. You do have perfect knowledge on the topic and its proof is rising number of comments at this post. It shows you do know this art very well. Thanks a lot for sharing a very awesome post on one of the important topics related to blogging. Have a nice Tuesday ahead. No body always be expert in any field but when you work from your heart and true knowledge then surely you will rewarded. As i am regular reader of your blog. you are also a great blogger and rocking in blogging field. Great.. you have really shared some nice tips on attracting more visitors to comment on your blog. Its an essential element for any blog as it indicates people tend to trust on your blog and the info displayed on it. I’m not attracting to visitors. My main aim is sharing my knowledge with others. this process is commonly known as Blogging. But some people made it profession. For stopping on my blog. Great list and as always, something comment-worthy! I liked the points you listed here. Some were basics which everybody know whereas I learned some new things to drive comments here, especially the #5 point. It is absolutely true that a commentator wants a proof of his comment. Lovely list and hoping for more of such comments. Thank Divyansh for stopping here with your Kind Beautiful words. and once again thanks for agree with my point #5 Proof , as every one wants proof of life so, try to write from heart . My first time on your blog and I’m pleased to “meet” you. One tip I’d like to add to your excellent list, although it doesn’t apply to you. Some newbies may not realize that if they don’t have a proper Gravatar their comments may automatically end up in spam as some bloggers have settings to reject comments made without proper gravatars. It’s free to get one and just helps people look more approachable. For instance, yours is great. Yes, I know it’s your first visit on my blog. Thank you very much to joining with us. Yeah! you are right some bloggers don’t allows those comments which have not gravatar . Its a very nice advice through out your words. And I am totally agree with Ravi. I think for a newbie blogger, comments acts as the factor of motivation. But they will get that after months of hard work. Perhaps, the expectation is different to everyone but your points are simply awesome. Yes, Ravi is another Great Motivator . He motivates for Readers from his Blog posts and Comments. Thanks Asif Ansari, For read my blog Post. Please Keep Visiting to get more Interesting Stuffs. Nice to see this another Social bookmarking website. Yeah Social bookmarking sites works as Blogger’s Community. Soon I will add this in my List of Social bookmarking Sites. Well written by you, I came to know many aspects about blog and how to get traffic to it. Posting an article in the blog is not an end to the blog work but there are many other works follows to it, as you said commenting, sharing in social media etc., for a newbie in this blogging sector will be very helpful. Thanks for sharing. Yes, Blogging is not only for writing post and publishing it. There are millions of bloggers with million of website. But all are not famous and don’t grab their readers attention to put their valuable comment. It’s because they have poor quality content which is not worthy to talk about. If bloggers need more comments at their blog then they need to write their post with passion as you have mentioned in your points. Yes Passion is very important because when we write with complete passion and importance of article then writer can write a detailed and Great Post without read any ideas or anything.